If you are in search of a smartphone and aren’t a huge gamer then it turns out you won’t have to look phones that cost more than 15K. If you don’t keep yourself updated with the tech market regularly, you may be surprised by our proposition. But as a great YouTuber said, Ahem… Marques Brownlee, Good phones are getting cheap and cheap phones are getting better. So the phones under 15K nowadays aren’t as terrible as they used to be a couple of years ago. They have decent cameras, feature good enough screens and have a great battery life. Nowadays, you don’t have to suffer if you are on a tight budget. There are great phones out there for you. 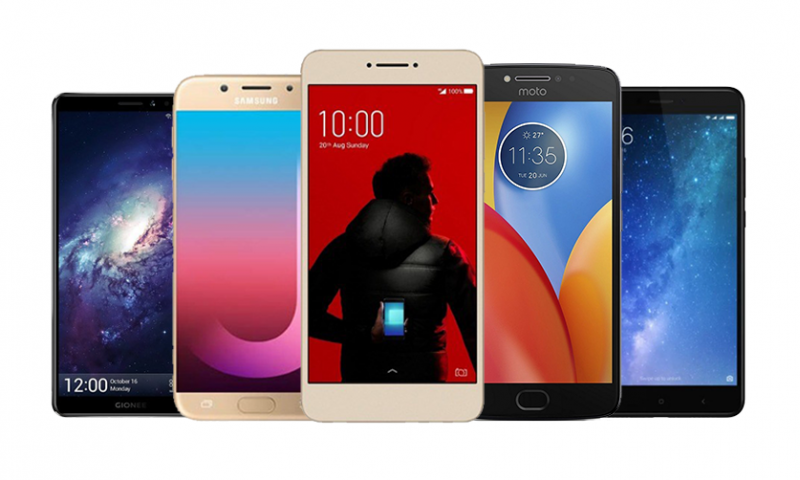 Therefore, we have compiled a list of best smartphones under 15000 in Nepal. This phone is the little brother of the Redmi Note 5A Prime and costs nearly Rs. 3500 less. So what do you get with the decrease in the price of Rs. 3500? Well, you get a slower processor, 2 GB of RAM instead of 3 GB, 16 GB of storage instead of 32 GB and a lower resolution front camera. There is still no fingerprint sensor though. But how does it fare in the sub 15K market among phones from other manufacturers? The answer is: Pretty well. Its specs are great for its price and are comparable to the offerings from other manufacturers. The other phone that might offer a little more for your money is the Colors S11 but we think the cameras on the Redmi Note 5A are better. Huawei has made strides in the Nepalese markets in these past months. It has been launching phones after phones and hanging banners after banners all over the country. One of their offerings, Huawei Y7, is a great value for money. Inside this phone is a Snapdragon-435 octa-core processor which can handle all your basic task pretty smoothly and can even let you play some games. Note that this processor is faster than the one found in the Nokia 6 which costs around 25,000. The 2 GB RAM and the 16 GB storage are nothing to write home about. But the cameras are. They click very impressive photos for the price. Huawei Y7 has an all metal build and a huge 5.5 inch HD screen but if you are looking for a fingerprint sensor, you won’t find it here. At 15,900 Huawei Y7 is a great value. Nokia is back baby. Risen from the dead, Nokia has been launching smartphones in many price segments but it started from and focuses on the budget market. Nokia 3 is one of Nokia’s cheapest phone. 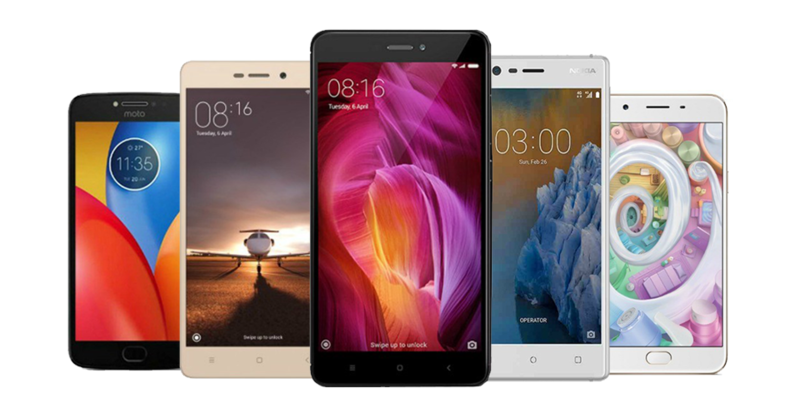 It features a 1.4 GHz Quad-Core MediaTek processor, a great camera setup for the price, a signature sturdy built from Nokia all within the price frame of 15K. With all that said, the best feature of the new Nokia phones isn’t even their hardware. It is their software. Nokia uses no skin on top of Android. It only adds subtle tweaks to the stock OS. 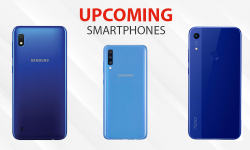 This ensures smooth performance and speedy updates both of which are very important factors to consider while in the market for a smartphone. The only gripe we have with this phone is its lack of a fingerprint sensor. Motorola has been making waves overseas, especially in the US, for being the best budget phone maker. And you can see why from the Moto E4. Cased in all metal and a great camera performance paired with a near stock android that ensures speedy updates and speedy performance, Moto E4 more than justifies its price. It gives a reliable performance and a reliable brand name at a value that consumers can really afford. It even has a fingerprint sensor which takes swiping gestures for navigation. The camera is great too. It gives you the best overall experience among all the phones with 2 GB of RAM on this list. The screen on the Huawei Y5 Prime is HD (typical of the price range) but it has an elongated 18:9 aspect ratio with small bezels all around the phone which gives it a modern look. The processor housed inside the metallic chassis is an entry level MediaTek chipset which is kind of a bummer and a little surprising. Bummer because it doesn’t perform as well as it’s Snapdragon counterpart and surprising because Huawei didn’t use its own in-house brand Kirin Chipset inside this device. The storage and the RAM are also typical of the price range. It has 2GB RAM which is enough to make using basic apps like Facebook and YouTube enjoyable. But the 16GB RAM will need users to buy an SD card simultaneously with the phone. The cameras, analyzing from other Huawei Y-series phones, will give a great experience for the price. Good lighting conditions will ensure a satisfying photo but like any other budget smartphone, it will not perform well under low-light. The Samsung Galaxy J4 will not dazzle you with its plastic build and thick bezels. It also does not have the new 18:9 aspect ratio that many phones come with. It has a normal sized screen but the panel is an HD Super AMOLED panel, a step up from the J2 and similar to the J6. A super AMOLED panel means punchy colors and better contrast ratio than normal LCD screen. The Exynos 7570 inside this device is an entry-level chipset which performs similarly to Snapdragon 425. So, normal daily tasks like scrolling through facebook and watching youtube videos will be smooth enough but this device is not made for gaming or intensive multitasking. Overall, the J4 is made for people who want something that lies just between the J2 and the J6. If the new 18:9 aspect ratio is a must have for you, I suggest you look at the Samsung Galaxy J4+. It comes with an updated design but ships with an LCD screen instead of an AMOLED. Xiaomi Redmi 6A runs MIUI 9.6 (Xiaomi’s custom skin) atop Android 8.1 Oreo out-of-the-box, and sports a 5.45-inch HD+ (720×1440 pixels) panel with an 18:9 aspect ratio. It is powered by the MediaTek Helio A22 SoC on the inside, paired with 2GB of RAM and 16GB inbuilt storage. It will cost you Rs. 11,999. The performance and hardware is typical of phones at this price, but the screen and camera are not. In the camera department, the Redmi 6A has a single 13-megapixel rear camera sensor. There is a 5-megapixel camera sensor on the front for selfies and video calling. The phone has a 3000mAh battery. Other features of the phone include 4G VoLTE support. The Colors S11 is a delight to use. Though Oppo markets itself as the selfie phone, Colors S11 provides the best selfie experience in this price range. It has dual 8MP cameras on the front coupled with a flash. But is it our pick for the second position on the best under 15K list just because of the dual front cameras? No. They play a part. But this phone has a lot going for its price. It has an all-metal build. It has a fingerprint reader on the back. It has 3 GB of RAM. And you get all of this for just Rs, 13,995!!! Phones that cost more do not have all the features this phone has. 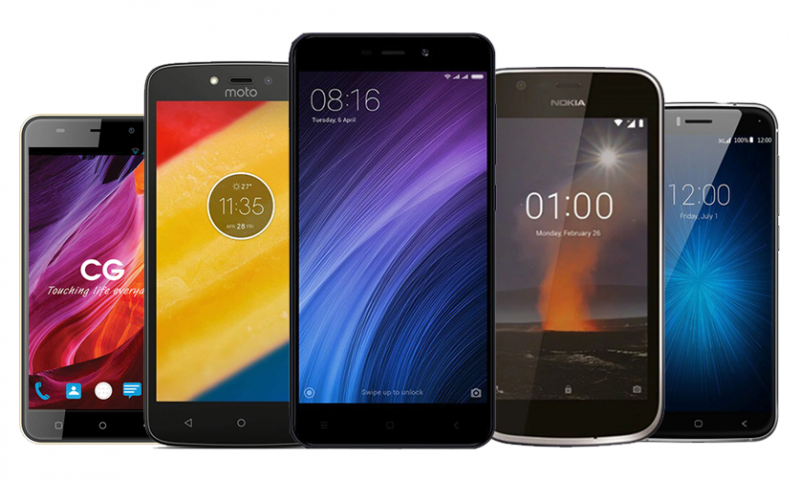 Some lack fingerprint sensor, some have just 2 GB of RAM. Not the S11. It just delivers all the things that users have come to expect from their smartphones — a premium feel on the hand, a handy fingerprint sensor on the back, a fast performance, and a great camera experience. So it is our worthy number 2 pick on this list. Redmi 6 sits firmly between the Redmi 6A and the Mi A2 lite in terms of price. Just like the Redmi 6A, it runs MIUI 9.6 on top of Android 8.1 Oreo out-of-the-box. The screen is a 5.45-inch HD+ (720×1440 pixels) panel with an 18:9 aspect ratio. It is powered by the octa-core MediaTek Helio P22 SoC, coupled with 3GBGB of RAM. It comes in 32GB and 64GB storage variants. The 32GB model will cost Rs. 15,499 while the 64GB model will cost Rs. 18499. The Redmi 6 has a horizontally stacked pair of dual rear cameras with a 12-megapixel primary sensor and a 5-megapixel secondary sensor. On paper, these cameras look competent. On the front, the phone gets a 5-megapixel selfie camera with AI beautification capabilities. Talking about battery, the Redmi 6 has a 3000 mAh battery. This phone, like the Redmi 6A, supports 4G VoLTE. Though the Redmi 6 is a good deal in itself, I think customers will be much happy to buy the Xiaomi Mi A2 lite instead of the Redmi 6 because it gives you better performance and better screen for a very small increase in price. Coming in at No.1 is … surprise… a smasung phone. Samsung surprised us this year with the punch it packed on the Galaxy M10 for so low a price. The build quality of the Galaxy M10 is top notch. The front of the phone is nearly edge-to-edge screen except for a small chin and a teardrop notch at the top. This phone has smaller bezels than the Galaxy A7! The back is made up of smooth high-quality plastic that is surprisingly resistant to scratches. I also like the feel of this material. It really makes the phone feel premium. All this is coming from my own experience of using the phone. The screen on the M10 is 6.22 inches, 720 x 1520 pixels, 19:9 ratio (~270 ppi density) IPS LCD display. This is on par with some of the other phones that lie in the same price range as this phone. Inside this phone lies 2GB RAM and 16GB of internal storage. The phone is powered by an Exynos 7870 processor, a midrange processor from Samsung that’s touted to be equal to the Snapdragon 625 in terms of performance. The 625 is the same processor used in the Mi A2 Lite. You have seen our picks for the 10 best smartphones under 15000 in Nepal. But, if you think some other phone should have been included on this list please drop its name on the comments below. Also, if you use the phones we featured, let us know about your experience so that it could help others to make a better decision while buying a new smartphone.